Thanks for dropping by. I can see from my visitors log that I have lots of lovely visitors. 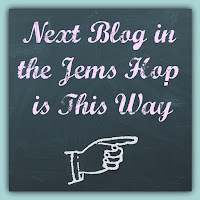 I can't believe it's been 4 months since I've joined in the Jem's Blog Hop! Think my New Year's Resolution needs to be to blog more often & share more lovely Stampin' Up! products with you. Our theme for the month of December is, not surprisingly, Christmas Decorations or anything you would make to decorate the home or Christmas table. A couple of months ago I promised my class ladies that we would do some candle embossing in my All Day Christmas Event & the Carols Of Christmas stamp set is perfect for this project. All of my class ladies received this stamp set in their product bundle so they'll be able to make lots more of these possibly for Christmas gifts. 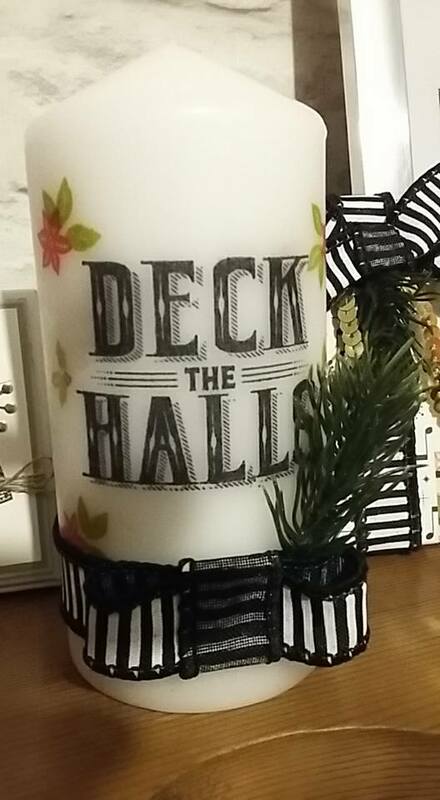 To finish off the candle they used the gorgeous Black & White Striped Ribbon & the ever so cute Green Sprigs. 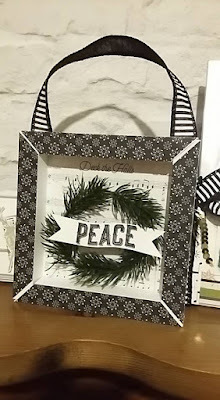 These shadow frames were very popular as well & are ever so easy to make. Again we used the Green Sprigs to form the wreath & the ribbon for the hanger. The frame was finished off with the gorgeous Merry Music Speciality Designer Series Papers which are so versatile. 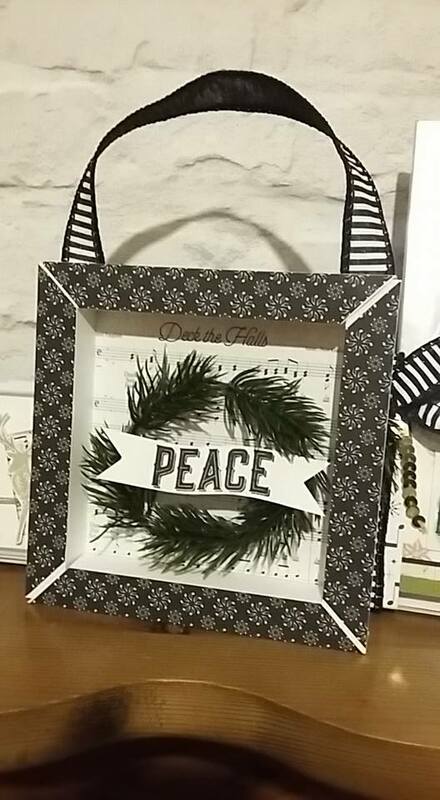 Both of these frames were made using the same Carols of Christmas stamp set in different ways. The little ornaments really finish off the Crumb Cake version I think. Hope you've enjoyed my projects & will hop along to Uma's blog which has the fab name of A Sense Of Uma . . . . . . .
Well the new catalogue is officially 'LIVE' & it's full of lots of gorgeous goodies!! 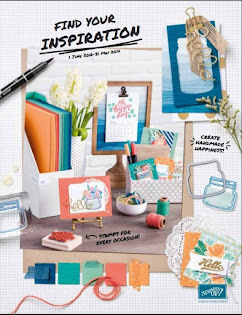 Our blog hop this month is to showcase the products we are happy are in the new catalogue. I was quite lucky & a lot of my sets have carried over but there's always room for 'new stuff'!! I've chosen the Dragonfly Dreams & Detailed Dragonfly Thinlet Dies mainly because I was so relieved they carried over as I hadn't even inked them up or had the dies out of the packet. This set not only has the most fabulously detailed dragonfly dies but the stamps & sentiments are lovely too. Unfortunately it's no longer available as a bundle but thankfully is still available to buy for another year. Don't you just love these cute bumble bees? Please do continue on with the blog by clicking on the link below. Thankyou for visiting my blog today & Happy Crafting! It's been a long time since I've taken part in a Less Is More challenge but as soon as I saw this weeks was 'Geometric' I wanted to join in. If you'd like to take part you can find the challenge here. 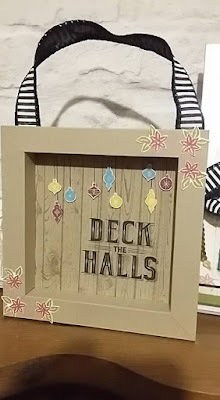 My first idea was a card using the new Stampin' Up! Eastern Palace Suite as the images are intended to produce patterns on your projects. There are so many possibilities with this suite of products & I've only touched on a tiny part of what can be done with these stamp & have lots of ideas for more projects. I've used 3 of the new 2017-2019 In Colors on this card to show how well they co-ordinate together, Fresh Fig, Lemon Lime Twist (my absolute favourite!!) & Berry Burst. I think these new colors are going to be really popular. Because this stamp set is polymer it is super easy to stamp so many fabulous pattern combinations. This product suite also has a set of fab Gold Vinyl Stickers which add a touch of elegance to your projects. I've used one of the border stickers across the top of the stamping on this card. I'm running a Product Bundle Class using the Eastern Beauty stamp set & Eastern Medallions Thinlet Dies on Saturday 17th June & I know this bundle is going to be a hit with my class ladies. Thanks for visiting my blog today. Happy Crafting! One of my lovely class ladies recently had a milestone birthday which coincided with a bundle class I had scheduled. All my regulars decided they would like to share in Cathy's celebrations so booked onto the class & I turned it into an afternoon tea party for her. I made this little table decoration to sit at her place & she was delighted with it. The little easels are so cute & just the right size for the Marquee Messages arrow & the main image which has several messages that can be stamped onto it. I've blinged the arrow to the max with Stampin' Up! Rhinestones which really make this project pop. I've paperpieced/layered some parts of the main image & coloured some in with Stampin' Up! Markers to co-ordinate with the piece from the 'A Little Foxy' paper stack I've used to wrap around the easel. Topped off with a BIG 50 from the Large Number Framelits. This is a great project for any special birthday. To order any of the products from this project please click on the link to the right which will take you to my online store. Thanks for taking the time to pop by today. 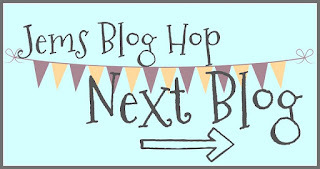 Hello & thanks for joining us on this months Blog Hop! 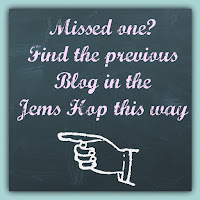 This month's hop is all about the men . . . . . . . . can I hear you groaning? I know most people find men's cards the most difficult to make so hopefully you'll get lots of inspiration on your journey around the Jem's Blogs today. The set I've used is so perfect for men's projects but the sentiments mean it can also be used for lots of other occasions. All the products are from the Urban Underground Suite & on just checking the stamps, dies & papers have all sold out!! Hopefully if you bought these products my projects will give you some ideas of what you can make with them. I'd seen a couple of 'Card in a Box' projects on Pinterest so decided to have a go. Love how it looks like a little tool box. I'm loving the little ruler die as well! I've layered the Fathers Day sentiment on the hexagon die shape which is also in the set. And the little screws & nuts are so cute! I also made a couple of cards using the dies, stamps & papers & also the fab Hexagon Dynamic Embossing Folder. The detail on this is so deeply embossed it gives a great effect. And the ruler die is a great length so here I've used it to divide the card. Did you notice the cute little face stamps that come in the set? Here I've used it to give the hammer a bit of character as it's 'speaking' to the saw lol! The sentiments in the set are a little bit quirky too so they're great for lots of occasions. And here are both cards together. Hope you've enjoyed my projects & will carry on through the rest of the hop. 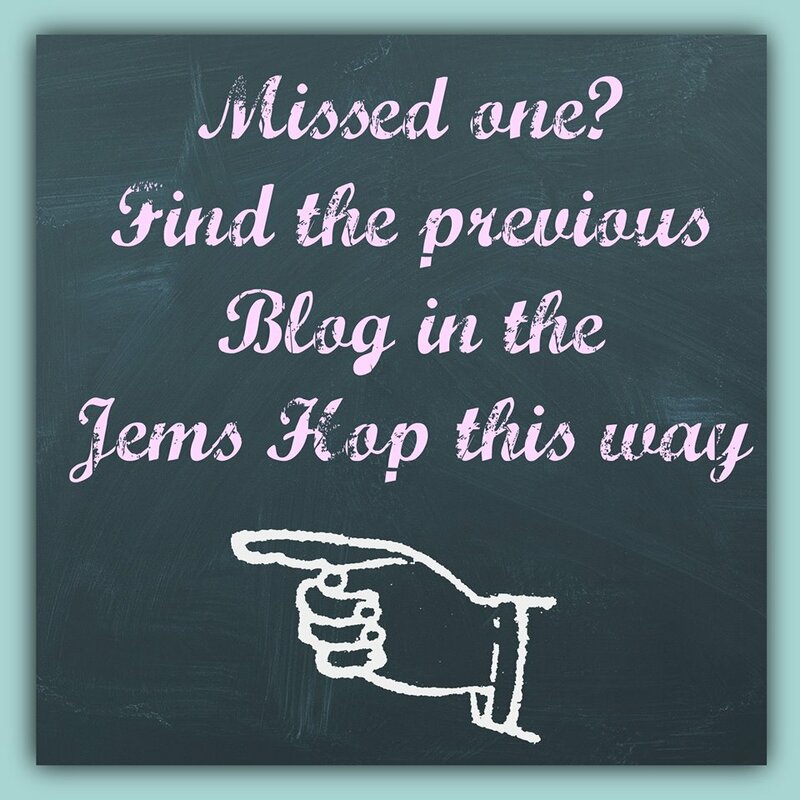 Click on the 'Next' button below to take you to Gill's blog or if you fancy working backwards the 'Previous' button below will take you to Anne's blog. Enjoy! Thanks for visiting today & Happy Crafting! 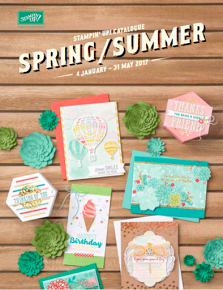 It's that time of the year again when Stampin' Up make way for the fantastic new products available in the new 2017/18 Annual Catalogue by retiring current products . . . . . . some discounted up to 50%. Now is the time to order that item you've been humming & hawing over before it disappears for good. Please take a look at the Retiring List here. 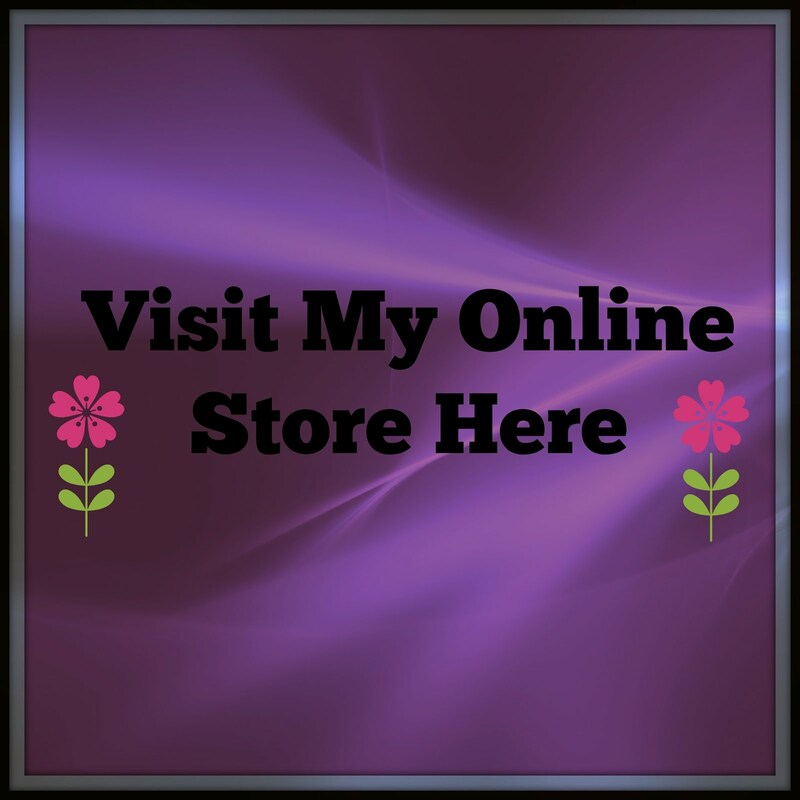 The quickest way to order is online via my store. The link for this is in the right-hand sidebar. Please use the online code below when placing an order between £25 & £150 for a FREE gift from me in May to say thank you. The Cool Treats Bundle is just one of those sets that you just can't put down! Here is a cute little 4" x 4" card to give to someone sweet! I love the Tasty Treats Speciality Designer Series Paper with it's cute little images. There are also 2 sheets with a clear glossy coating over the designs & those are the only 2 sheets I have left but just can't bring myself to cut into them! Doesn't that ice-cream look good enough to eat? And the little spoon die cut is just too cute! Can you see the shiny glaze on the chocolate topping? This is created using the Fine-Tip Glue Pen & then the sprinkles are just placed on top. The glue dries clear but without the stickiness of the Tombow Multipurpose Liquid Glue. Would you like to know how I made the little bowl? I took a piece of Crumb Cake Cardstock & scored it on my Stampin' Up! Trimmer/Scorer at every 1/8". Then take the bowl die & lay it on the scored cardstock at a slight angle. It's a quick & simple way of adding a bit of detail to an otherwise 'flat' feature on the card. I hope you like today's project. If you would like to order any of the products I've used please click on the link in the right hand sidebar & use the online code below. I am an Independent Stampin' Up! Demonstrator for the Leeds & West Yorkshire area. 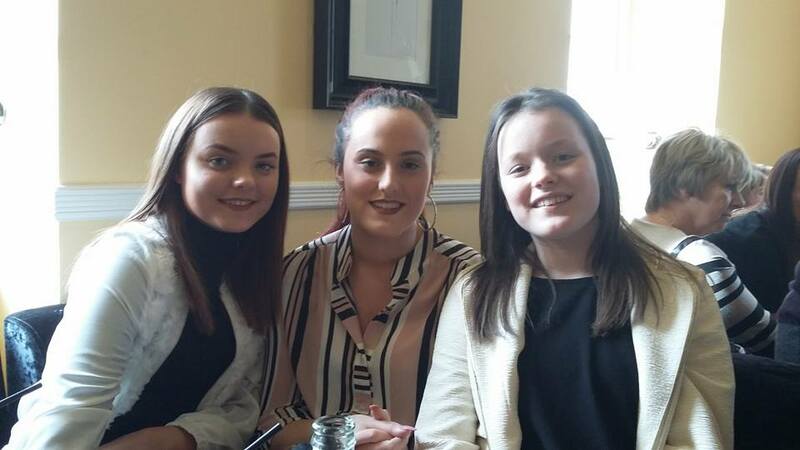 I am a mum to 3 lovely girls & live in Leeds, West Yorkshire. I really enjoy cardmaking, not only the craft itself but the people it brings you in contact with. 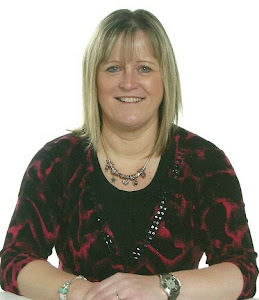 I run cardmaking & papercrafting classes in Crossgates, Leeds, West Yorkshire which I love. If you would like to join me at one of my classes please get in touch.